Final Giveaway Number 7 From Stuck On You! 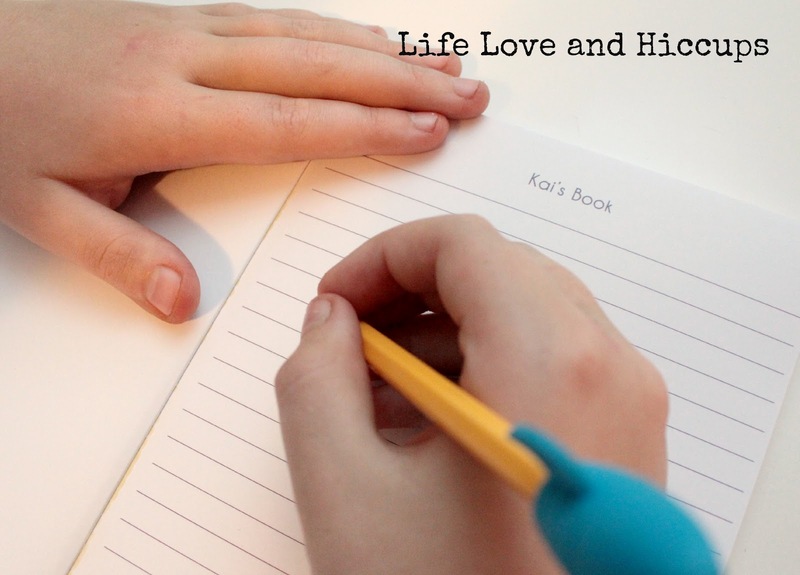 | Life Love and Hiccups: Final Giveaway Number 7 From Stuck On You! The final Giveaway I have for you today comes from Stuck on You again. Are these guys generous or what! 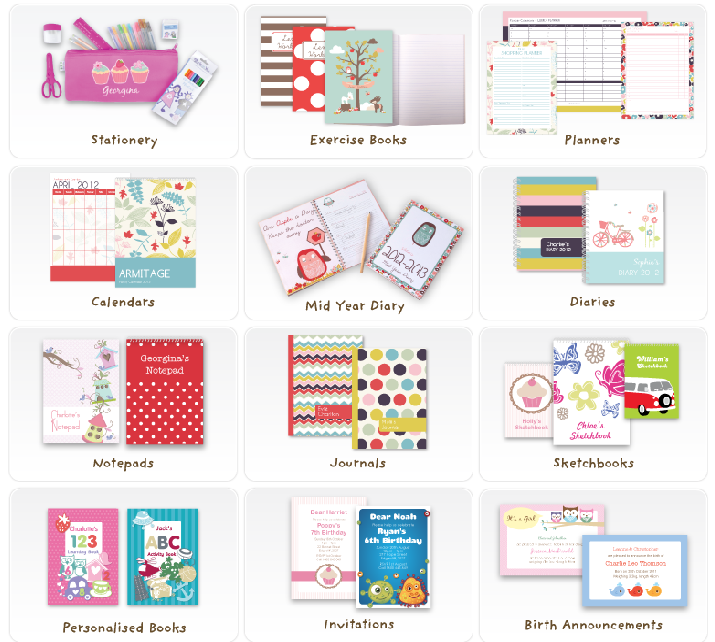 As I mentioned earlier, Stuck on You have the most amazing range of products, everything from labels to clothing, stationery and party invites to home essentials. 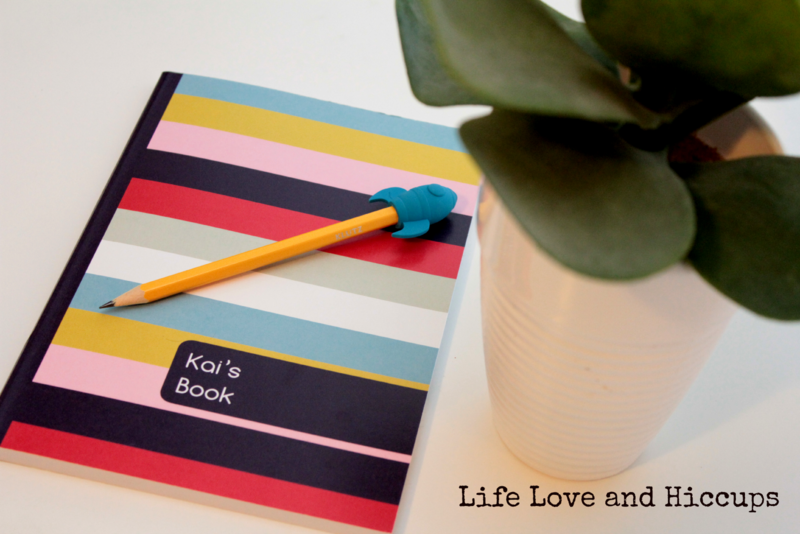 My oldest son Kai us just like me - a stationery freak and he loves nothing more than writing in secret journals. Hmmm a future blogger in the making perhaps? 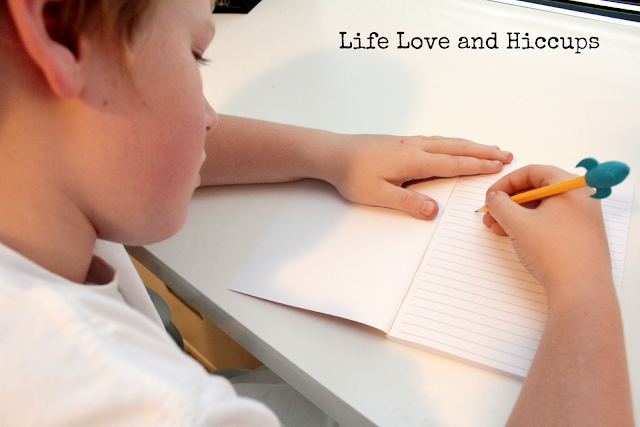 He loves his personalised journal from Stuck on You and with his name on the cover and one every page, there is not mistaking whose thoughts are in that special book. Did you know that Stuck on You have a huge range of Stationery you can personalise. Well if you didn't know, consider yourself now officially In The Know! Now Flynn there eternal optimist. One of his favourite pastimes is visiting the Winnebago Lot with his Grandmother and dreaming about holidays he is one day going to take us all on in his own Winnebago. 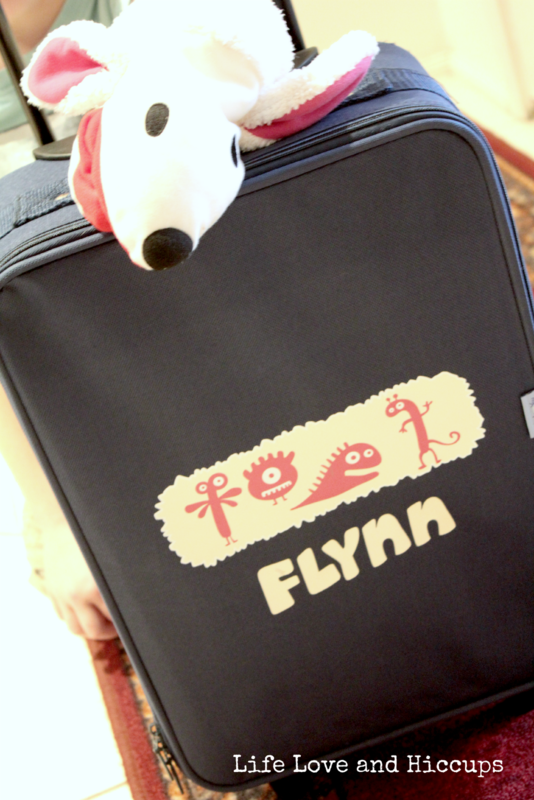 So his special travel bag is packed and ready to go! 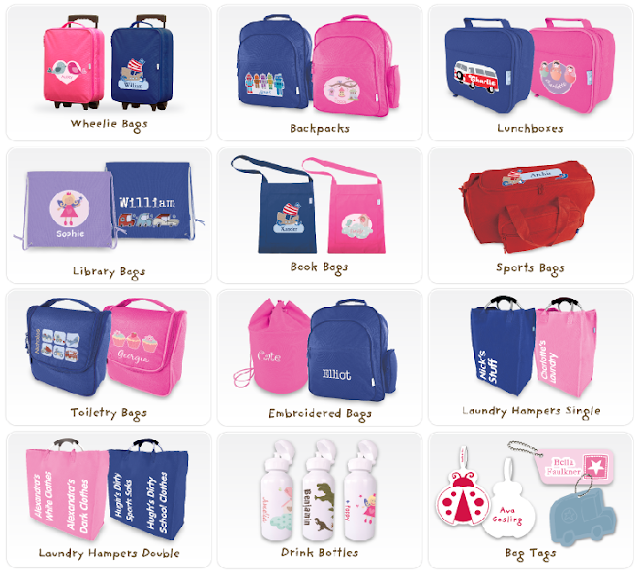 Stuck on You have a gorgeous range of bags for your kids that can be personalised with their name. From Kindy bags to Sports Bags and Library Bags and yup overnight Winnebago Bags! 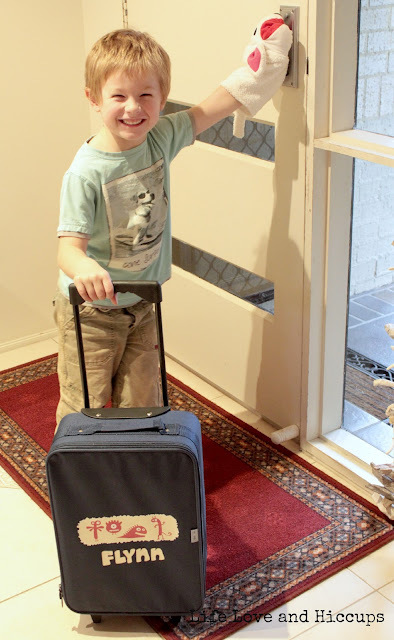 Stuck On You are giving you guys a chance to win a Wheelie travel bag AND a personalised Journal. You choose the design, the colour and of course the name! If you simply can't wait to see if you win, don't! You can go to the Stuck On You and order any of their gorgeous products now. Congratulations Natalie. Please send me an email to lifelovehiccups@optusnet.com.au with your contact details, so we can organise your prize for you.